The aim was to create a world class military training establishment at Worthy Down. 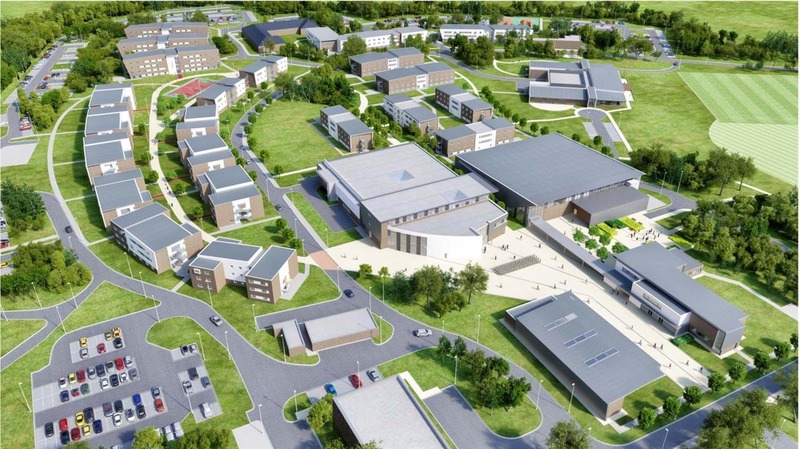 We were appointed as lead consultants for the Vinci / St Modwen team, bidding for the redevelopment of Worthy Down Camp into a tri-service Defence College of Personnel, Logistics and Administration (DCPLA), together with the associated redevelopment of Deepcut Barracks. In developing the masterplan, we aimed to design an attractive, legible and safe campus. Buildings included a training college, museum, single living accommodation and messes for all ranks, an RHQ, sports and medical facility, as well as all grades of Service Family Accommodation. 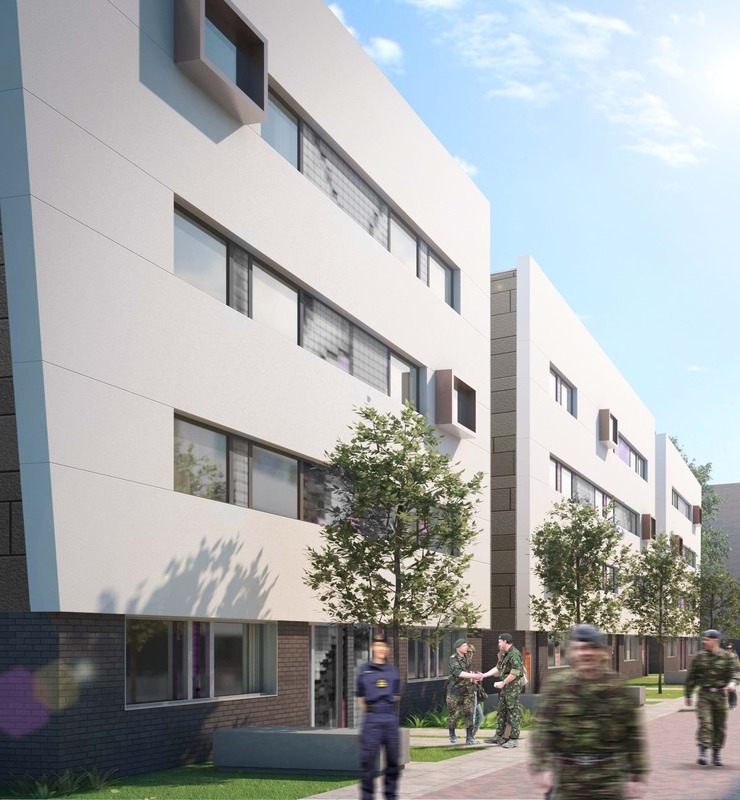 The relocation of units from Princess Royal Barracks in Deepcut also allowed us to provide redevelopment proposals for the site, which were included in the 2 stage bid. 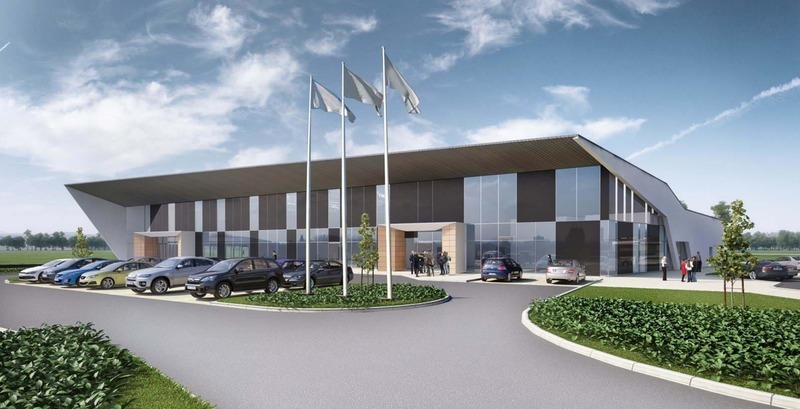 Working with AECOM we developed a full energy efficiency and sustainability strategy. The team brought together extensive defence experience to respond to the project criteria to propose a bespoke solution for Worthy Down. 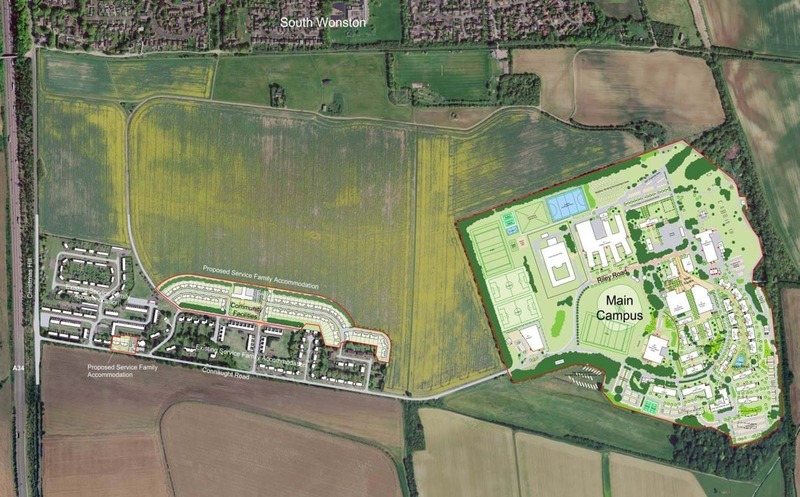 A clear strategy and programme was developed by the team to maintain an operational garrison, whilst achieving all the necessary approvals to allow for sequential moves from Deepcut to arrive at the final masterplan solution.